The city of Yamhill, Oregon in Yamhill County was incorporated by the Oregon Legislature as North Yamhill on February 20, 1891. Yamhill’s curious name did not originate with someone’s observation of hills full of tubers, but rather the county was named for the original inhabitants of the area, the Yamhill Indians, who lived near the Yamhill River. 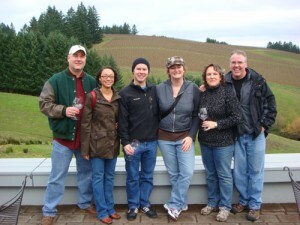 The Yamhill area is notable these days for its numerous vineyards and wineries. Also writers Beverly Cleary and Nicholas B. Kristof both grew up on Yamhill farms.